Large capacity with plenty of options. The Smeg CG92X9 comes with a large 72 litre electric multifunctional oven which is great for preparing the grandest of family meals. With lots of cooking options to choose from, including fan and conventional settings, there's a perfect option for whatever you'll be eating. 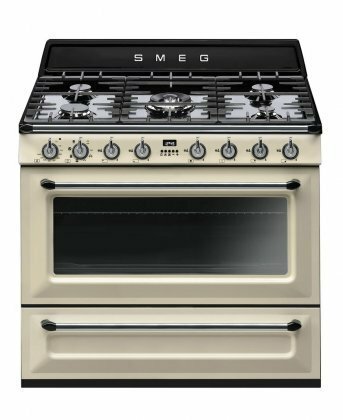 The second, 27 litre electric conventional oven can also work as a grill which is fantastic for everything from rustic vegetables to a lovely bit of smoked bacon. And with 5 gas burners up top, including a wok burner, there's room for all your pans, too.